Sidhu's wife, Navjot Kaur, who was also summoned by the commission, however, appeared on Friday and gave her statement. Sidhu, who was present in Amritsar on Friday, later held a press conference and justified his absence. "I wrote to him (probe commissioner) that I was not in Punjab from October 16-20. So there are no inputs that can actually add to your proceedings," Sidhu told the media. Senior IAS officer B. Purushartha, who is conducting the magisterial inquiry in Amritsar, had asked the Sidhu couple to appear before the commission on November 2. 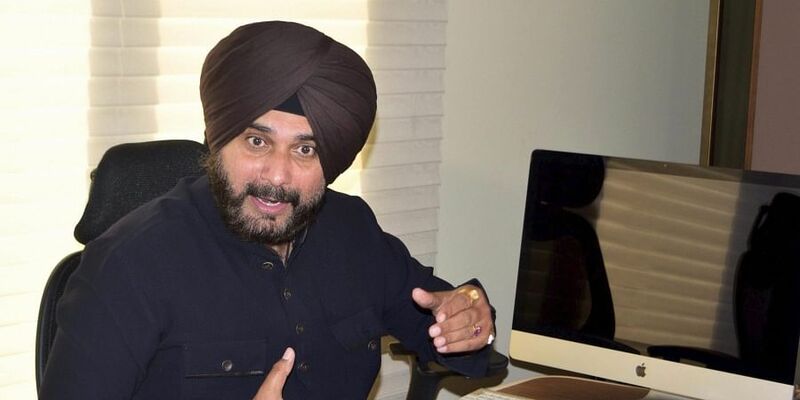 Regarding Sidhu not appearing before the inquiry commission, Navjot Kaur told the media after appearing before the commission at the Improvement Trust building that "He is at home only. He had a programme to distribute cheques (to families of victims of the train tragedy). He has sent whatever statement he wanted to make (to the commission)." Navjot Kaur, a former legislator and ex chief parliamentary secretary, was the chief guest at the Dussehra festival near Joda Phatak when the DMU (diesel multiple unit) train crushed those standing on the railway tracks. Opposition leaders and locals alleged that Navjot Kaur fled the scene after the train mowed down the people. There are allegations that the event was organised without mandatory permissions, which had to be given by the municipal corporation which falls under the local government department headed by Sidhu. The main organiser of the event, Saurabh Madan Mithoo, is a close political aide of the Sidhu couple. Mithoo, his family members and other organisers were questioned by the inquiry commission in Amritsar, over 250 km from here, on Tuesday for over four hours. The commission has been asked to submit its report within four weeks.